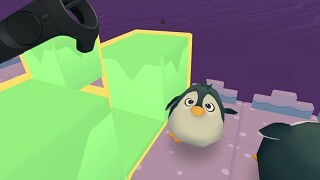 Waddle Home is a game about life as a benevolent alien who loves saving penguins and solving puzzles. 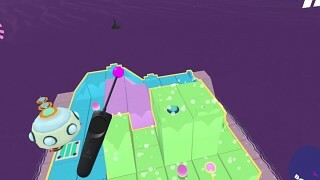 Grab your VR headset and guide penguins through a snowy world filled with traps, guards, and ice, and lead them back home to the Rescue Ship. Bop blocks and toggle switches to help them escape nasty traps and dodge those pesky robot guards. 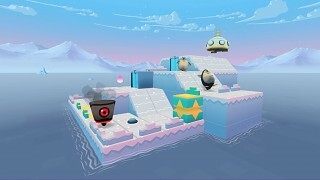 Save the penguins as fast as you can, and collect all three eggs in each level to get a high score! 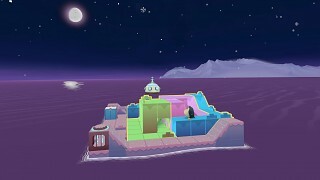 Waddle Home is a game about life as a benevolent alien who loves saving penguins and solving puzzles. 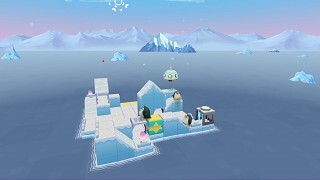 Grab your Vive and guide penguins through a snowy world filled with traps, guards, and ice, and lead them back home to the Rescue Ship. 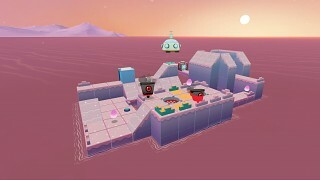 Bop blocks and toggle switches to help them escape nasty traps and dodge those pesky robot guards. 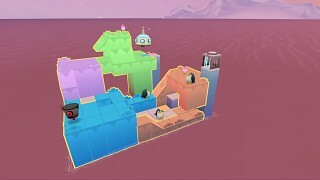 Save the penguins as fast as you can, and collect all three eggs in each level to get a high score! Hang out in an Antarctic wonderland, complete with the Aurora Australis and a spaceship or two. Bop and spin 40 different frozen levels! Maybe wear mittens? Catch snowflakes! Really! But not in your mouth. Collect eggs! Penguins love eggs. They also love fish, but those are harder to hold with a Vive controller. Check out whales and dive underwater (Note: We are not responsible for thawing out your headset).